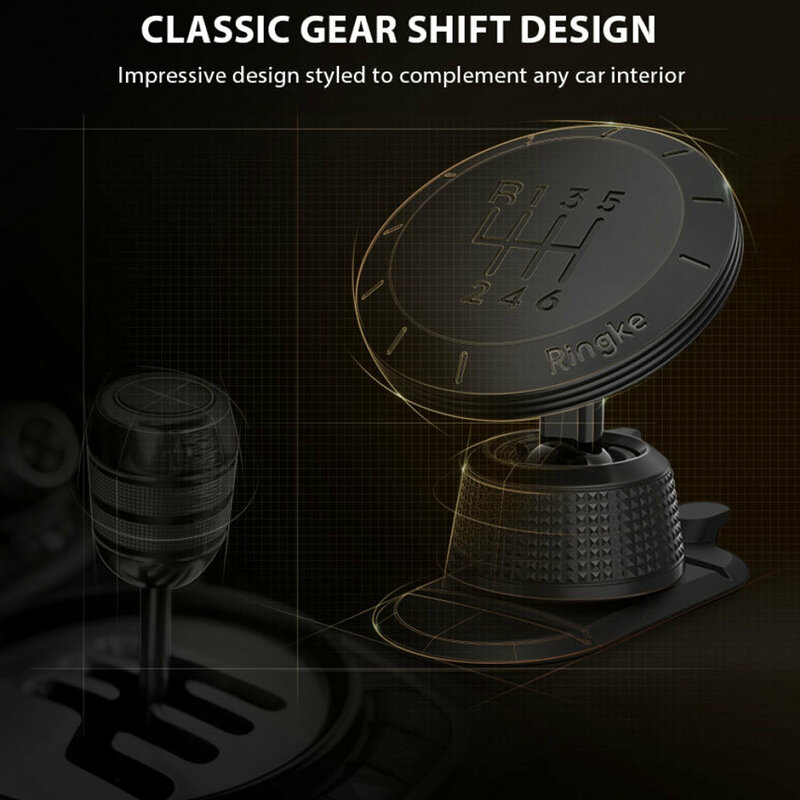 Dock your smartphone effortlessly thanks to the Ringke Magnetic Gear Car Mount Holder. Extremely easy to install and fully case compatible with two including magnetic plates. Also features a classic 'gear shift' design. 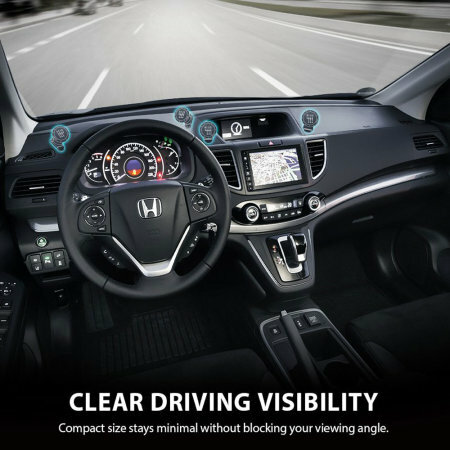 Ideal for use with your car's windscreen or dashboard, so no matter what your preference, you can easily find a viewing angle that suits you and your car. So you can mount the Ringke Magnetic Gear Car Mount on your dashboard, windscreen, near the steering wheel or on the rear windscreen - the possibilities are endless. This allows you to use your device for a number of different things, whether it's for a Sat Nav, playing a video for the kids or just mounting it in a comfortable position which keeps your phone in view without blocking your view of the road, perfect for positioning to listen to your tunes on the road. 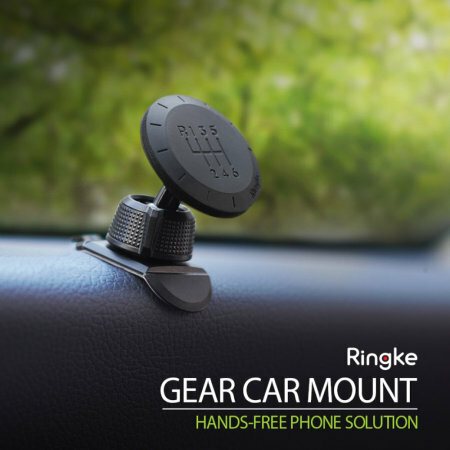 Installed in seconds, the Ringke Gear Mount allows you to mount within your car for a secure and convenient hold. The simple, yet highly functional design works through a strong adhesive mount that secures the car holder within the car. Once the holder is installed, you simply need to select one of the two provided magnets and attach it to your phone or case. 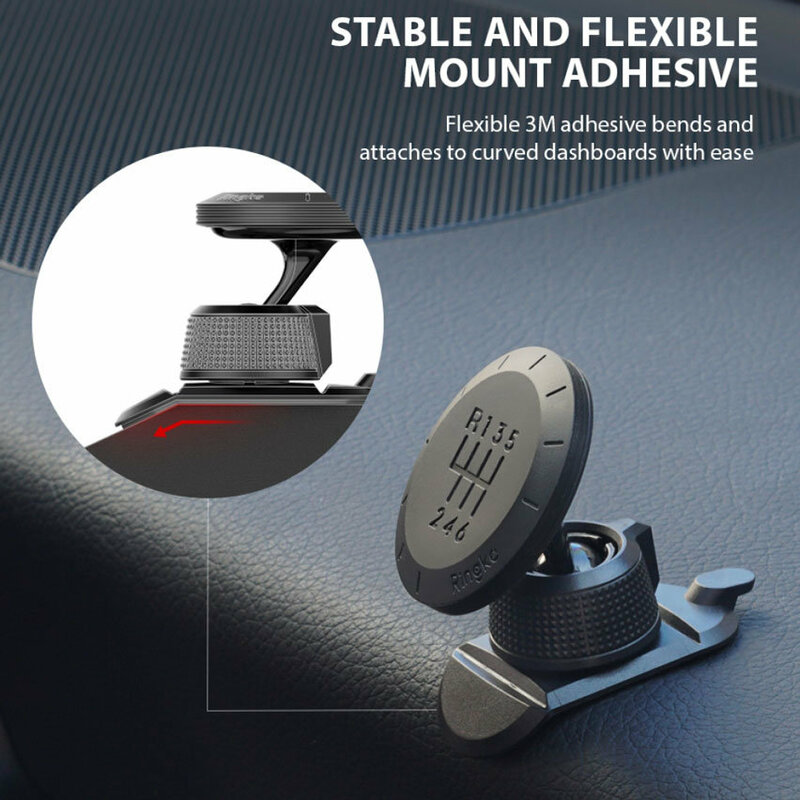 This creates the strong magnetic hold, keeping your smartphone secure while you drive. 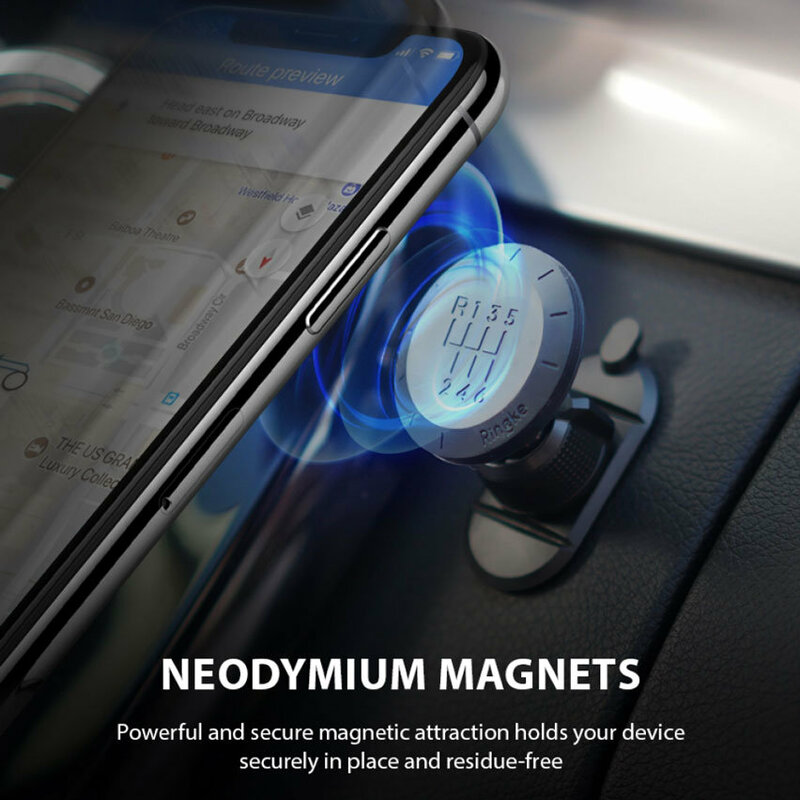 With a strong and sturdy neodymium magnetic hold, the mountt gives you the freedom to position your device at any angle you see fit. This provides a comfortable and enjoyable driving experience, allowing you to stay up to date with traffic information safely and conveniently. The mount's cradle-free design allows for complete universal compatibility. 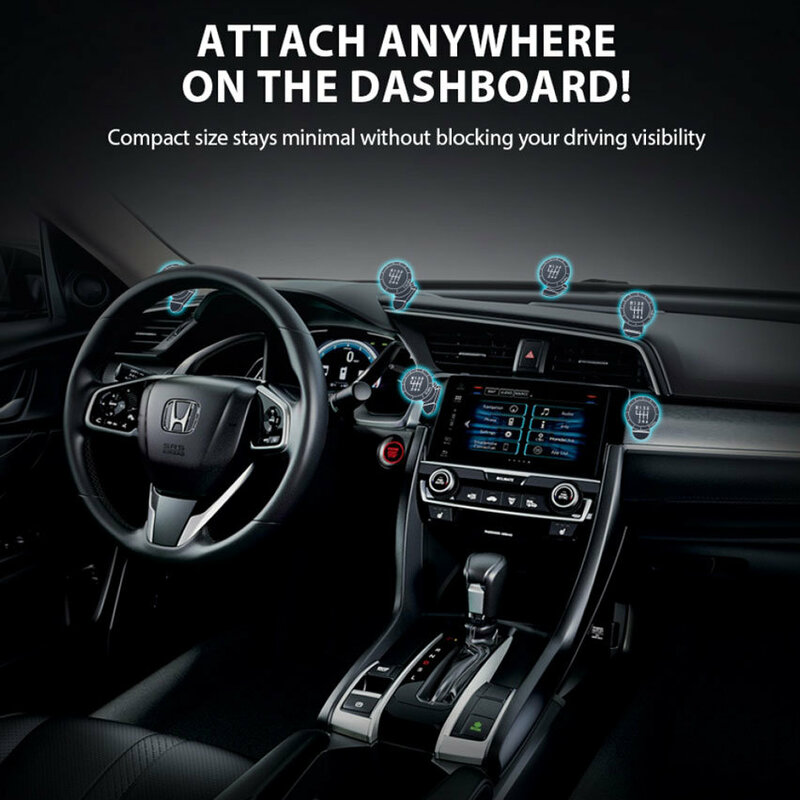 This allows any smartphone, no matter how big or small, to work with the car holder. 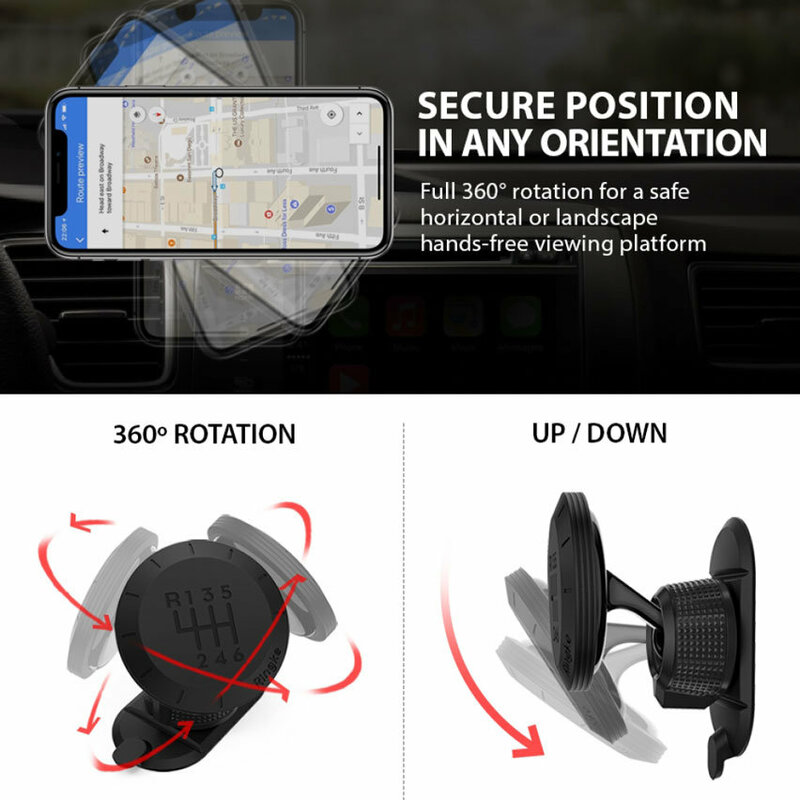 So, even if you upgrade or have multiple phones, you can dock effortlessly without the need to adjust the car holder itself every time. 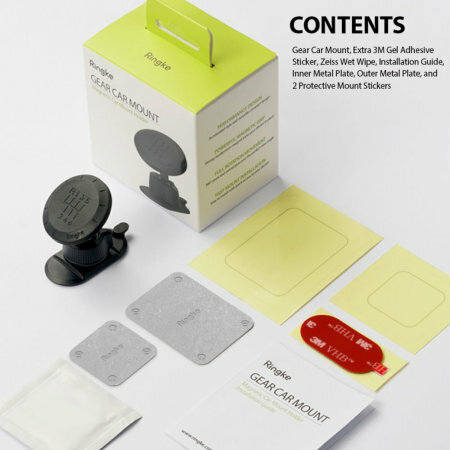 With an intuitive design, this holder makes attaching and removing your phone a quick and easy process. No fiddling around with arms to achieve the most secure fit and certainly no aggravation. 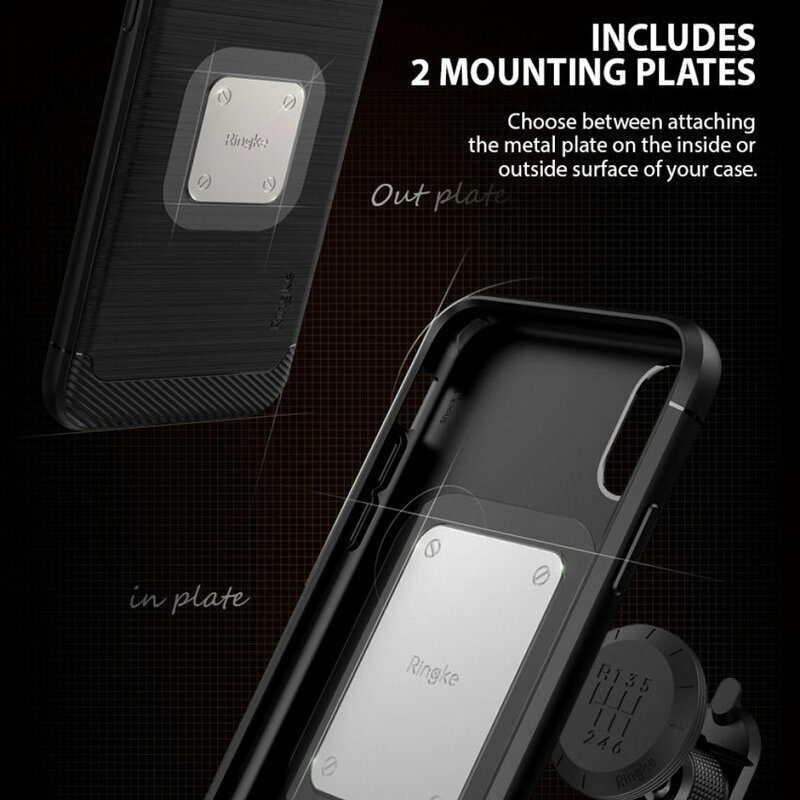 Coming complete with two extremely strong magnets, The unique design not only allows for quick and hassle-free docking, it also allows you to leave your case on no matter what style of case you have attached. From slim polycarbonate cases to tough bulky rugged cases, this magnetic mount can handle it all. The universal magnetic design allows you to move between our magnetic range without having to change case or magnets. 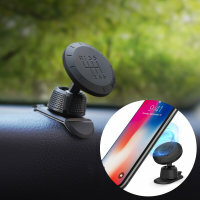 Once the adhesive magnet is attached to your phone or phone case, you can effortlessly dock on any magnetic mount for an effortless viewing experience. As the name would suggest, this holder isn't just useful, it also looks the part with a classic gear shift design.